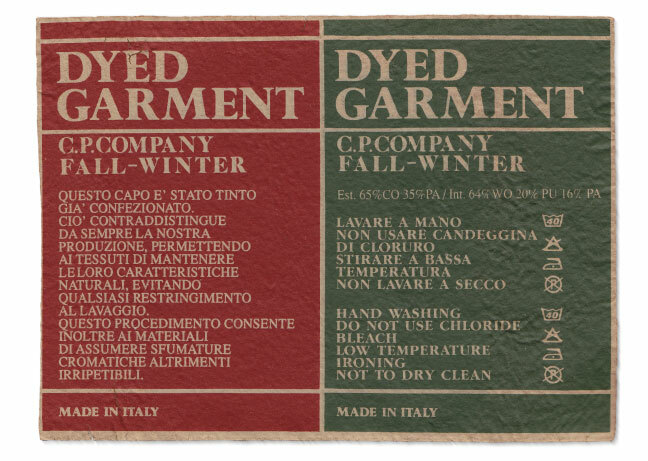 Garment dyeing is the name given to a process pioneered by Massimo Osti and his collaborators for C.P. Company in the early 1970s in which a garment – usually made from white or raw un-coloured fabric – is only dyed as a final manufacturing step, subsequent to being fully-fashioned, as opposed to the conventional method of manufacturing garments from pre-dyed fabrics. 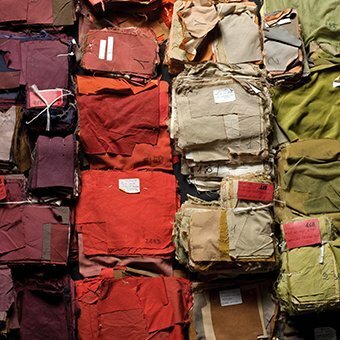 While the technique of garment dyeing has long existed Massimo Osti and his collaborators were the first to attempt the technique with garments made from multiple different fabric or fiber types. 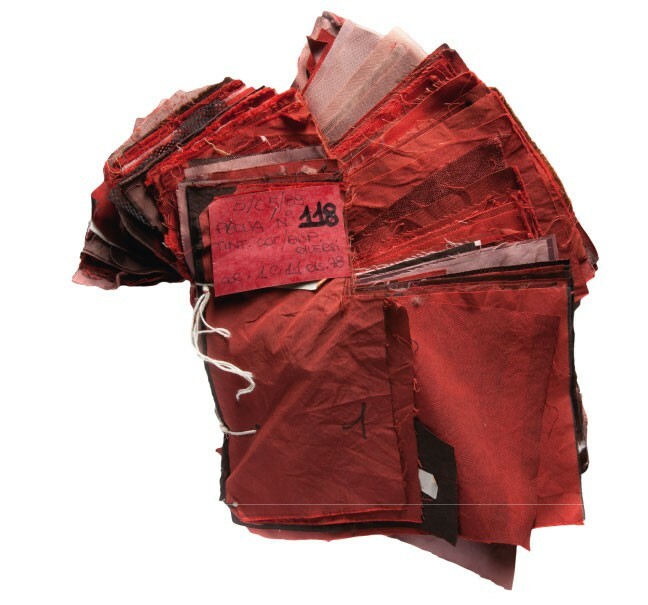 This process - which appears almost alchemical for those who witness it first hand – produces a chromatic depth and intensity impossible to achieve with pre-dyed fabric, as well as enhancing the material characteristics of the fabric. To an outsider who picks it up, feels it and tries it on for the first time, a garment dyed C.P. Company jacket seems uncannily like an “enhanced version” of itself. It is inexplicably more vivid and present… Massimo Osti’s goals were originally far more humble. In the early 1970s, when C.P. Company was still called Chester Perry and Osti considered himself above all a graphic designer who applied his drawings to t-shirts, he decided to try dyeing his t-shirts after they had been printed for two simple reasons: Firstly the technique would allow him to buy fabric in only one colour but offer them in as many unique colours as he pleased. 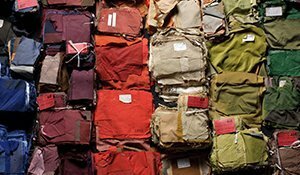 Secondly he knew – from having observed the domestic practice of over-dyeing old faded clothes (the most ancient and basic form of “garment dyeing”) – that the t-shirts would come out with a slightly crumpled, worn-in look. A look which reminded him of the British upper-class custom of having a butler wear-in one’s new shoes or jacket, in order to avoid ever looking like you were wearing something new; an idea which was very close to Osti’s personal philosophy of elegance. 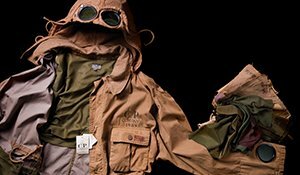 From this initial intuition that he could produce his t-shirts in colours that fabric suppliers weren’t selling and that he could achieve a worn-in effect, Osti began to make more and more complex experiments into what could be achieved through the technique. 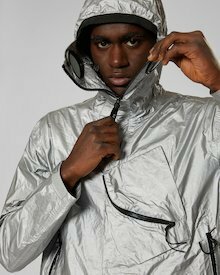 He soon hired, in an entirely unprecedented step for a clothing company, a full-time in-house chemist, Giuliano Balboni and built an internal dyeing facility at C.P. Company. 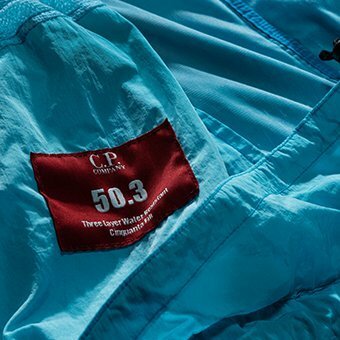 Together with Balboni and a few trusted suppliers Osti began to dye, for the first time in the history of the technique, garments made from more than one type of fabric or fibre. He began to dye jackets that, for example, combined nylon, linen, resined cotton, all in a single bath. Each fabric and fibre type responded to the dyeing process in a different. Some fabrics shrunk 8%, others only 3%, a denser fabric took on less colour than a looser weave, the polyurethane coating was only “dirtied” by the dye, nylon took on a darker, richer tone of brown than the linen, and so on. Garment dyeing of this complexity had never previously been attempted, and in successfully learning to do so he invented a proprietary technique which still today, because of its complexity and initial investment costs, only a handful of brands in the world are capable of employing and which became the unique DNA not only of C.P. Company (and his later brand Stone Island) but synonymous of Italian Sportswear in general. 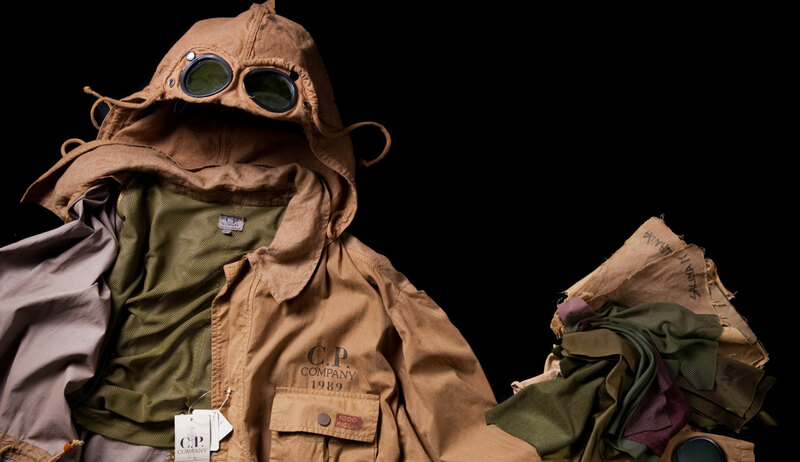 Osti spent the next 15 years (until he sold and left C.P. 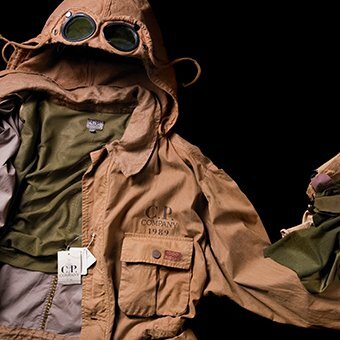 Company and Stone Island in mid-90s) in an obsessive colour trip: the fabric innovation for which he is today best remembered was always motivated by the question “but what will happen when I garment dye it?”. The answer inevitably being: it will get more intense, more visceral, more tonally varied, denser… more beautiful, basically. And this voyage into the magic of garment dyeing has been continued by every subsequent C.P. Company designer, who through mastering the technique becomes more of than engineer, or industrial designer, than fashion designer. Today 70% of every C.P. 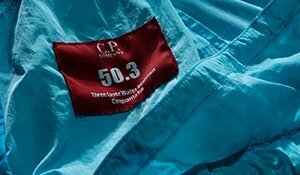 Company collection is garment dyed and even pieces which aren’t embody the lessons and design philosophy imparted by mastering this technique.